Morten was one of the guests on Skavlan tonight, alongside Gordon Ramsay and Sir Kenneth Branagh. The show was taped in London last week. At the end of the show he performed a shortened, acoustic version of “Brother”, accompanied by Peter Kvint on guitar. The episode can be seen at nrk.no. Sunnmørsposten reports that Paul is among the producers on Linnea Dale‘s second solo album, set to be released later this year. Linnea Dale was one of the finalists on the fifth season of Norwegian Idol in 2007, where she was mentored by Morten and performed “Velvet” in one particular a-ha themed episode. In 2009 she was a guest-vocalist on the Donkeyboy album Caught in a Life, which included the hit singles “Ambitions” and “Sometimes”. Together with Donkeyboy she toured the UK and Norway with a-ha on the Foot of the Mountain tour. 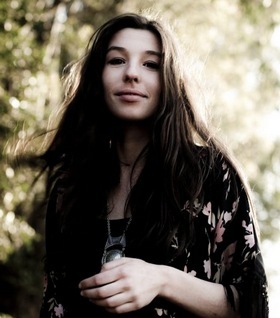 Her first solo album Lemoyne Street was released in 2012, which included the single “Children of the Sun”. 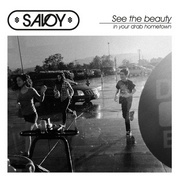 This was followed by “A Room in a City” in March 2013; the first single from the upcoming second album – which was going to be released last fall, but is now coming out in 2014. “I’m aiming for a more electronic sound. At least elements of it, unlike Lemoyne Street which was a more acoustic, live-based album”, Linnea told 730.no last year. Linnea has been in New York several times over the last couple of years, and is listed in the credits of Paul’s studio engineer Eliot Leigh. “There’s a female singer that has recorded a lot of Paul’s songs, that may be released”, a-ha manager Harald Wiik told fans in September 2012, possibly referring to Linnea. Before the album is released she’ll be taking part in the Norwegian Eurovision Song Contest finals in Oslo in March with the song “High Hopes”, which is why she’s in the news today. Various versions of the website; 2009 (top left), 2011 (top right), 2012 and 2014. 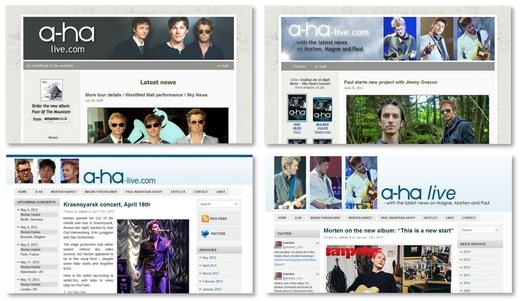 Today it’s five years since I posted the first news update here on a-ha-live.com, on January 27th, 2009. Originally intended to just offer some info about tour dates, the website quickly turned into a sort of news blog about all things related to a-ha. The site has continued to grow, with a total of 3 million page views so far. Just last month the site had 76,000 hits. Thanks to the fans who visits the site, contacts me with useful information and follows me on Twitter. Magne’s new Beatles-inspired exhibition “Norwegian Wood Remix” opened at Kunstgalleriet in Stavanger yesterday, with 250 people in attendance. There’s a selection of photos from the event on the gallery’s Facebook page. According to Stavanger Aftenblad the opening was hugely successfull, with all the artworks – 11 oil paintings, 2 monotypes and 2 lithos – being sold during Friday’s private view and Saturday’s official opening. 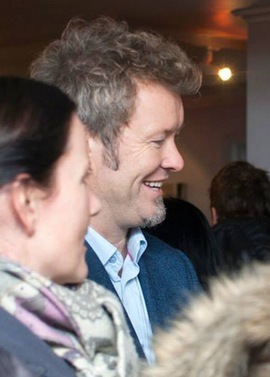 Which means that Magne sold art for around one million kroner this weekend. “We’re sold out! That’s a new record. This almost never happens. It’s exceptional”, gallery manager Elin Halvorsen told the newspaper. “This was a great reception, and not something you take for granted as an artist. I had my very first exhibition [“Maleri”] here in Stavanger. That was at Galleri Sølvberget way back in 1989. The last time I exhibited here was in 1995, so it was about time that we made this happen“, Magne told Rogalands Avis. “Beatles were the greatest when I was growing up. They were the inspiration when Paul and I started writing songs. Without Beatles there wouldn’t have been an a-ha. And now I’m currently composing music around what I heard as a kid. So this is a journey back in time for me, which ends up at Abbey Road Studios in March, where I’ll record my own music using the original Beatles equipment”, he said in a radio interview with NRK Rogaland on Friday. Beatles is set to premiere on August 29th, but test screenings of a 2-hour raw cut of the movie will be held in Oslo, Bergen, Trondheim, Stavanger and Tromsø tomorrow. “Norwegian Wood Remix” is open until February 16th, and the artworks can be seen on the gallery’s website. 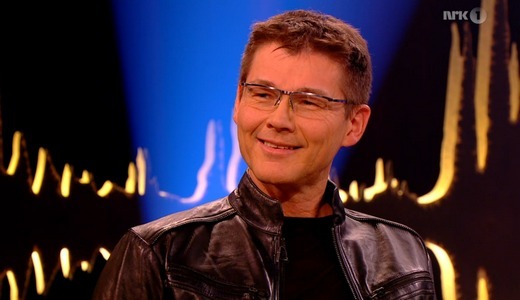 Morten was at the ITV Studios in London yesterday, where he was interviewed and did a performance of “Brother” on the popular Scandinavian talkshow Skavlan, hosted by Fredrik Skavlan. The show will air next Friday, 31 January on NRK1 in Norway and SVT1 in Sweden. It will also air on DR2 in Denmark on 1 February. Other guests in the episode include Kenneth Branagh, Gordon Ramsay and David Walliams. This will be Morten’s fourth appearance on Fredrik Skavlan’s talkshow. He previously appeared on the show in 2002 (Oslo), 2003 (Oslo) and 2011 (Stockholm). Read more about the 2011 interview here. 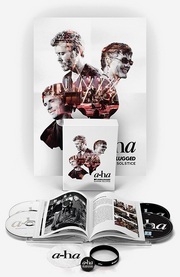 Tini Flaat‘s limited edition vinyl EP Good Morning/Good Night, which features production, songwriting and artwork by Magne Furuholmen, was released in Norway last month. The EP was released by Vox Watch Music, the publishing company co-owned by Magne, which has also signed Tini to a full 360 deal. 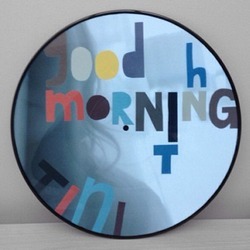 But apparently Good Morning/Good Night is only distributed by The Thief hotel in Oslo, so it’s not easy to get hold of. Martin and Magne did several London recording sessions with Tini after The Voice in 2012, and work on her debut album continued in Magne’s studio in Oslo last year. The album, reportedly called Undo My Heart, is expected to be released soon. In other news, Magne has designed the bottle label for a new “pale ale”, made by a local group of beer enthusiasts in Asker. There’s a picture of it at budstikka.no. 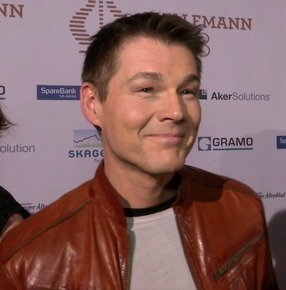 Morten performed “Brother” live for the first time last night, at the Spellemann Awards 2013 in Stavanger (although much of it seemed to be playback). If you missed it, it’s been uploaded to YouTube. He was joined on stage by two very familiar Swedes on keyboard and drums; Christer Karlsson and Per Lindvall, plus two other Swedes on guitar and bass; Peter Kvint and Jerker Odelholm. “Brother emerged when we did a 5-day session at a cabin in Southern Norway, and the identity of that song set the tone for the whole album. I can recognize myself again as an artist now, and things are completely different than on the last album. The collaboration with Peter Kvint has opened new channels within me”, Morten told Aftenposten in an interview before the show. The song was released yesterday in Norway, where it quickly went to number 1 on the iTunes chart. It’s also available on WiMP and Spotify, and will be released in other countries soon. 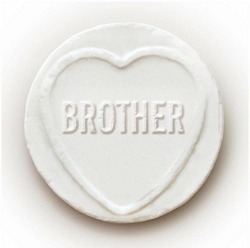 “Brother, a serious yet uplifting song, has melodic hooks that pushes the right buttons. Empathic and moving. (…) This could – and should – be his biggest solo-hit in years”, Talseth writes. Morten will be doing an exclusive live performance at NRK’s Studio 1 in Oslo on February 24th, the official site announced today. The 30-minute show will be broadcast April 9th on NRK2, as part of the third season of the concert series Studio 1. Typically, each artist performs five songs, with backstage interview clips shown in between. Other acts performing on the upcoming season will include Thomas Dybdahl, Sivert Høyem, Ingrid Olava and TNT. 120 free tickets for Morten’s Studio 1 performance were available last night from linkevent.no, but they all seem to be gone by now. 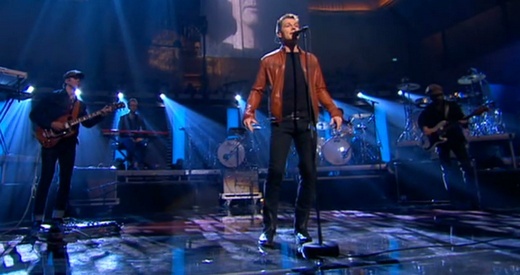 As for Morten’s performance of his new single “Brother” at Spellemannprisen 2013 in Stavanger today, it seems that NRK1’s live broadcast will be streamed worldwide through nrk.no. Morten will perform in the Fartein Valen orchestra hall, the largest auditorium in Stavanger’s new concert hall, during the second half of the show, which starts at 9:50pm (local time). Biletix, the Turkish branch of Ticketmaster, has announced that Morten will do a concert at KüçükÇiftlik Park in Istanbul, Turkey on May 2nd. This will be the opening concert of his 2014 solo tour, unless more dates are added. It’s also the first time anyone from a-ha performs in Turkey. VG has an interview with Morten today, in connection with his new single “Brother” which is released next Saturday, January 18th. There’s a 1-minute sample of the song available now on 7digital.com. As stated in the VG interview, the new single has a more organic sound than the material on Out Of My Hands and has Morten singing in a lower register. “You’re still my brother / till the end of time” is quoted as part of the lyrics. The interview was done in Peter Kvint’s studio in Stockholm, where the duo is apparently still busy trying to finish the album. 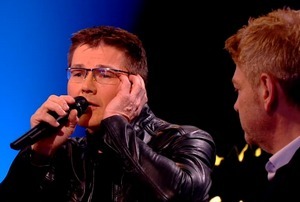 “I didn’t like the a-ha machinery on Out Of My Hands”, Morten says – referring to having many of the same backing musicians and crew members as on the last a-ha tours in 2009-10. 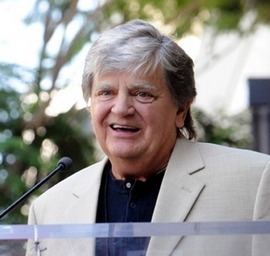 Phil Everly of The Everly Brothers died in Los Angeles yesterday at the age of 74. Together with his brother Don he released a number of classic hits in the 1950s and 60s, including “Bye Bye Love”, “Wake Up Little Susie”, “All I Have to Do Is Dream”, “Let It Be Me” and “Crying in the Rain” – which was covered by a-ha on East of the Sun, West of the Moon in 1990.
a-ha also covered the Everly Brothers song “Bowling Green” at the final concert in Oslo on December 4th 2010, as a tribute to Terry Slater who co-wrote the song back in 1967. The black Everly Brothers signature models (as seen on the ltd. ed. cover of Stay On These Roads) have continued to be among the guys’ favorite guitars. 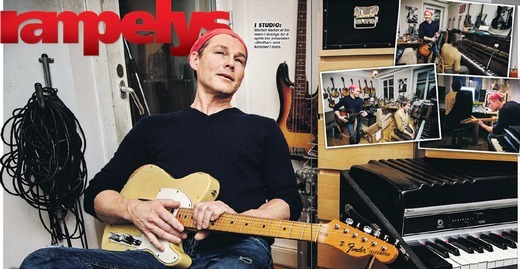 Morten has used it on a lot of his solo stuff, and they all used their guitars on the a-ha farewell tour in 2010. 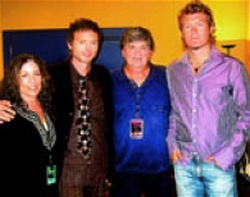 Update: a message from a-ha about the passing of Phil Everly has now been posted on a-ha.com. There is also an article about the band’s friendship with him on vg.no.